As founder and president of Craighead Beringia South, Derek continues to oversee all research projects and the development of our education programs in both Jackson Hole and Mongolia. In a continued effort to apply CBS’s research to social and environmental needs, Derek is investigating the toxic effect of selenium in the Gros Ventre drainage, as well as long-term weather and river-flow datasets that correlate with wildlife migration patterns. As the former president of the Craighead Wildlife-Wildlands Institute (CWWI), John is Acting Program Director of the John J. Craighead Archive and Publication Program, which is responsible for archiving the research and personal work of John J. Craighead. John is making an additional effort to digitize all movies made by John J. Craighead, and CBS currently responds to requests for access, distribution, and publication of the professional work of John J. Craighead. Ross has been a biologist with CBS since 2007. 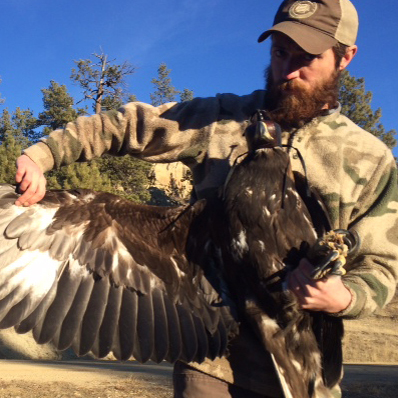 He is currently working on the Golden Eagle projects, the Blacktail Butte Raptor Community Project, the Teton Kestrel Project and is analyzing data for other projects. Pete, a CBS research biologist, recently completed his master’s project on non-invasive monitoring for cougar populations in the Gros Ventre and Buffalo Ranger District drainages and continuesthat work using novel techniques to attempt identification of individual cougars to help better estimate the population size.